With a big expansion on their training accessories, LaserLyte has released their new product Catalog for 2014. They are now offering a Trigger Tyme Compact pistol to be utilized with the LT-PRO laser for a more realistic concealed carry dry fire training. 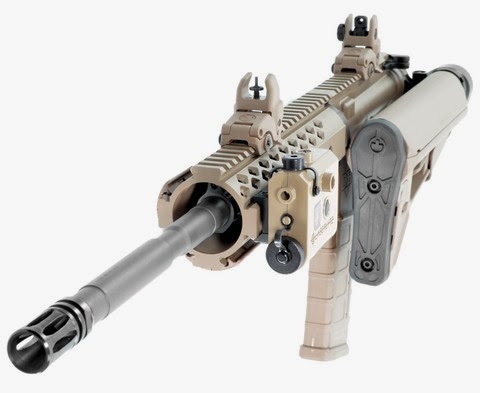 The AR Training Tyme Kit looks particularly intriguing as it integrates a functioning charging handle, laser cartridge trainer that inserts into the chamber and is activated by the firing pin, and a charging block that inserts into the buffer tube spring to minimize travel and keep a live round from being chambered negligently. LaserLyte has also introduced Trigger guard Lasers for newer compact pistol models including the M&P Shield, and a new Center Mass Laser System called the Sight CM Dual Lens that allows you to switch between a single red dot or their multi-dot center mass pattern. There are plenty of other new products, but we don't want to give it all away, so feel free to free to browse the catalog below at your own leisure.